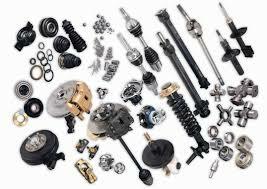 This article represent on Features of Top quality Replacing Parts. Here is the explain briefly about the Features of Top quality Replacing Parts. Every professional power tool user has to deal with repairs and maintenance once in a while. Sometimes, simply cleaning and blowing does the job but there are times when you need replacement parts. Sometimes, a subpar replacement part can cause a greater damage to your power tool giving you additional frustration and financial turmoil. Most of the times, the intention behind getting an aftermarket part is to save money which is quite understandable.